2. You will receive a message and you must respond with your First and Last Name. 3. Now you will receive important Senior Class Announcements via Text. 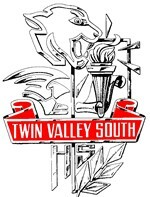 The company through which TVS seniors order caps, gowns and senior memorabilia.